For thousands of years, herbal fertility treatments, the knowledge of herbs and wild plants that could increase fertility were the secrets of the village wise women. But after the virtual extermination of Native American medicine women, the knowledge about herbal fertility treatments virtually disappeared. In fact, many people erroneously believe that indigenous people no means of controlling the likelihood of pregnancy. Nothing could be further from the truth. One of the most cherished of plants used as part of any herbal fertility treatment protocol is red clover (trifolium pratense). Common in fields and along roadsides, it has bright pink (not really red) blossoms from mid-summer into the chilly days of fall. 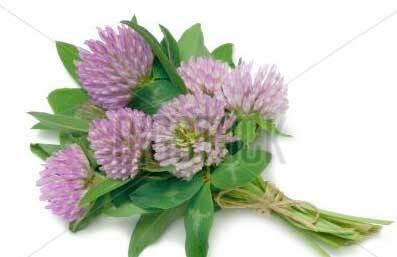 Red clover is a favorite flower of the honeybees. The tops (blossoms and appending leaves) are harvested on bright sunny days and eaten as is, or dried for medicinal use. The raw blossoms are delicious in salads and nutritious when cooked with grains such as rice or millet. To make a fertility increasing infusion, I take one ounce by weight of the dried blossoms (fresh won’t work for this application) and put them in a quart size canning jar. I fill the jar with boiling water, screw on a tight lid, and let it steep at room temperature overnight (or for at least four hours). That little evergreen creeper that carpets some parts of the woods around your house is another popular plant to be considered for your herbal fertility treatment protocol. Partridge berry (Mitchella repens), also known as squaw weed, supposedly because of its ability to increase fertility. Keep an eye out this spring and see if you can catch Mitchela blooming. Then you’ll see why she’s sometimes called twin flower. Interestingly, when the paired flowers fall off, they leave behind but one berry to ripen. (The shiny red berries you’ve noticed in the forest winter or spring. Yes, they are safe to eat, but leave some for the partridges.) The symbolism of the two flowers forming one berry is certainly a suitable icon for fertility. I make a medicinal vinegar by filling a small jar with the fresh leaves, adding apple cider until the jar is full again. A piece of waxed paper held in place with a rubber hand and a label (including date) completes the preparation, which must sit at room temperature for six weeks before use. I enjoy up to a tablespoonful of the vinegar on my salads or in my beans. By mid-to-late May, the yellow blossoms of Liferoot (Senecio Aureus), yet another herbal fertility treatment favority, enliven my swamp in upstate New York and the neighboring roads where there are adequate water and rich soil. A powerful medicine resides in all parts of this lovely wildflower. As the root has a dangerous reputation, I restrict myself to using only the flowers and leaves, which I harvest in bloom, and quickly tincture. (For instructions for making your own tinctures, please see any of my books.) Small doses of this tincture (3-8 drops a day), taken at least 14 days out of the month, will regulate hormone production, increase libido, normalize the menses, relieve menstrual pain, and improve fertility. The closely related Senecia jacobea and Senecio vulgaris can also be used. An anti-fertility herb that has been tested by small groups of modern women is wild yam. (Diosorea villosa). Since birth-control pills were originally made from this plant, it is not at all surprising that is has the effect of blocking conception when taken daily in rather large doses; either a cup of tea or tow capsules taken three times a day. Does it have detrimental effects? Current studies are too small to show any, but there is a possibility that there could be. Interestingly enough, wild yam can also be an herbal fertility treatment remedy when taken in small doses (a cup of tea or 10-20 drops of the tincture daily from onset of menses until mid-cycle). In either case, the effect seems to be triggered by the large amount of hormonelike substances found in this root. When taken daily, these substances may be converted into progesterone, thus decreasing the possibility of conception. When taken for the two weeks preceding ovulation, these substances may be converted into LH (leutinizing hormone) and FSH (follicle stimualting hormone), hormones which are needed to make the egg ready to be fertilized. Other common weeds and garden plants that have been used herbal fertility treatment plans are stinging nettle, oatstraw, seaweeds, rue, Never use the essential oils of any of these herbs (or any herbs) internally. Reprinted by permission, Susun Weed is an internationally recognized herbalist, author, wise-woman, teaching the Wise Woman traditions for the last three decades. 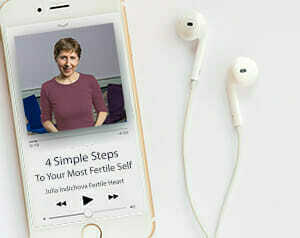 Herbs for Ovulation boost might also be another useful article, as well as books by susan Weed and other herbalists, on the Fertile Heart bookshelf that include guidance on herbal fertility treatments.